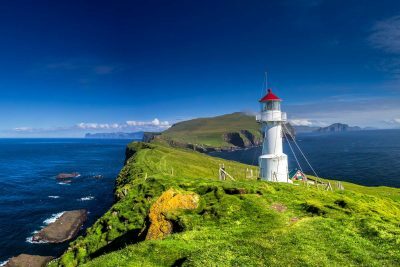 Island-hop from Vagar to Stremoy to Sandoy and Eysturoy and explore the awe-inspiring and dramatic mountain and ocean scenery. There is also time for optional visits to the islands of Nolsoy, Bordoy and Kunoy. 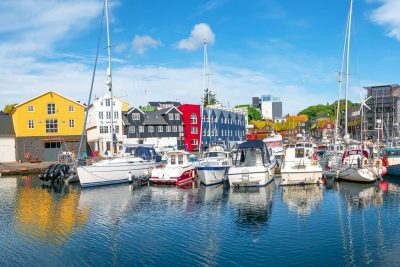 Immerse yourself in the Viking history and visit the colourful towns and hamlets of this stunning, yet little explored group of North Atlantic islands. This remote and little-explored group of islands is a firm favourite and considered to be a gem of a destination by the readers of the National Geographic Traveller Magazine who voted Faroe Islands as the ‘Best Trip 2015’ destination and also as the No.1 destination in the world among 111 island communities. Midway between Norway and Iceland this group of 18 islands rise out of the Atlantic Ocean with spectacular steep cliffs and rugged and dramatic landscape. The narrow straits between the islands and natural harbours surrounded by small villages attract more than 3 million seabirds. Faroese people have preserved their culture and language, which has its roots in the Old Norse language from the Viking Age. History is still an integral part of the daily life – as Faroe Islands are one of the few places in the world where you can still experience the old medieval ballads and chain dance, which people in Europe practiced more than 800 years ago. Flights are included from London Heathrow (via Edinburgh) or direct from Edinburgh. It is also possible to fly from other UK airports via Keflavik (Iceland) or Copenhagen. **Flights are included from London Heathrow (via Edinburgh) or direct from Edinburgh. 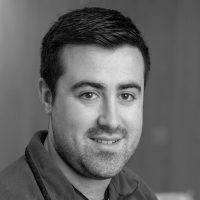 It is also possible to fly from other UK airports via Keflavik (Iceland) or Copenhagen. Take the local ferry to Sandoy from the tiny port of Gamlaraett. 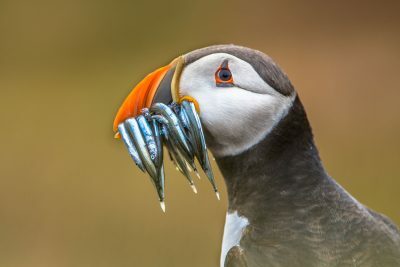 Explore the small village of Sandur and the tiny settlements of Skarvanes, Skopun, Husavik and Dalur, not forgetting the beautiful sandy beaches with dunes and coastal areas teaming with seabirds. Following 2 nights at Hotel Skalavik in the village of Skalavik. Enjoy a special BBQ dinner, where you can help to prepare your own meal in one of the hotel's wooden grill huts. Day at leisure to explore Sandoy. There are many hiking opportunities along the coast or on the bird cliffs. Return to Stremoy by ferry and continue towards the island of Eysturoy, perhaps making a detour to the remote, but beautiful villages of Saksun, set in a natural amphitheatre high above the tidal lagoon, and Tjornuvik. There is a hiking path between the two villages offering views over the sea and two of the tallest mountains in the Faroe Islands, Slaettaratindur and Grafelli. 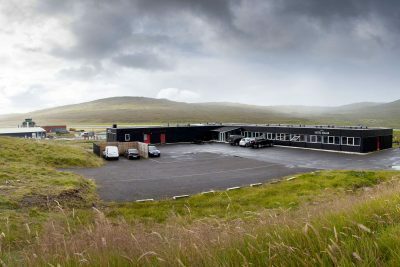 Continue to Eysturoy and the village of Runavik for 2 nights stay at Hotel Runavik. A day to explore Eysturoy. 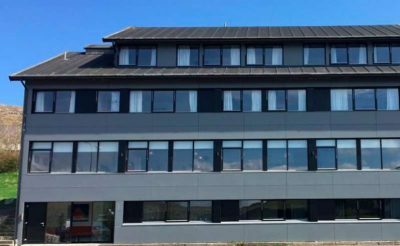 Perhaps visit the renowned wool factory Navia in Toftir and the villages of Sydrugota, Gotugjogv, and Nordragota which comprise the historic area of the famous Viking chieftain, Trondur i Gotu and ruins of his farm are found in Gota. The museum Blasastova provides insight into the culture and way of life in the Faroes over the centuries. Enjoy the spectacular views from Leirvík over the islands of Kalsoy, Kunoy and Bordoy or island-hop and explore these northern isles at your leisure. Continue to the village of Gjogv in the north of the island, named after a 200 metre long sea-gorge from the village to the ocean. This is an excellent area for hiking. Drive to Stremoy and visit the town of Vestmanna, perhaps join one of the boat tours to the nearby bird cliffs. 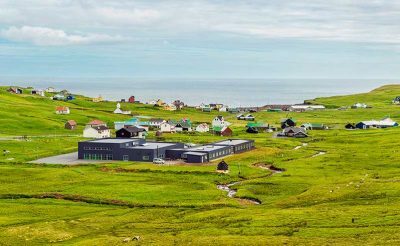 Continue to the island of Vagar and visit the villages of Sandvagur, Bour and Gasadalur. In Gasadalur you find the stunning waterfall of Mulafossur. Overnight at Hotel Vagar. Drop off your rental vehicle before your flight back to the UK. Note: The order of the itinerary and hotels may change according to your travel dates. 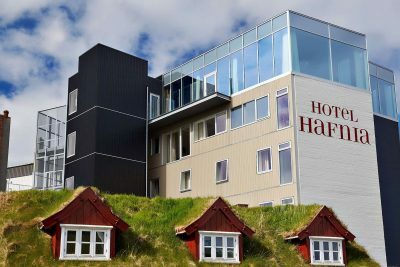 Located in Torshavn's old town and built in the style of old Faroese architecture.